Web development is our bread and butter Our websites are not only user friendly, easy to update and ‘pretty’ – they actually sell your business. We use WordPress, which is specialty programming (primarily in PHP,MYSQL, & CSS) that integrates outside resources into your website seamlessly, giving you a one up on the competition. 10 Reason why WordPress Works Best. When it’s time to expand your market share and reduce your administrative burden at the same time, have us develop an integrated e-commerce website. This service can do everything from invoicing, shipping, and accounting, right down to coupons, customer accounts, special packages and up-selling. You log in to your website’administration area and see that 10 new orders have been placed and the funds are already transferred to your account. You print off the automated shipping quotes, complete with barcode and with one click your shipping method is confirmed and a truck is on its way to pick up the goods! Since the shipping label was pre-created for you by the website, you just tape it on the box and presto, the whole thing is ready to go. Once the items are picked up you switch your attention to accounting. Because you’re using QuickBooks, the website has already entered all the new sales data.You just have to verify the transactions and print off your monthly reports. Excellent, looks like sales are up again for the third quarter in a row! Gridtronics also offers pre-project consulting to help you select the best payment gateways, merchant accounts and secure website hosting to ensure you get the biggest return on your investment. As of 2012, there are over 5 billion mobile devices in use. Presenting your website content in a suitable format for mobile devices (i.e. Smartphones, iPod Touch, iPad, Tablets) expands the reach of your business.Mobile marketing isn’t just an after thought – it has become an essential part of your marketing mix. If you use search engines yourself, you know this: the top is the only place to be. Wading through page after page of search engine results is no fun! Most of your potential customers won’t bother.Use mobile websites to integrate transit,outdoor, print and viral advertising campaigns. Imagine the ability to convert a customer while on the bus or browsing the mall. Mobile websites add value to the rest of your marketing arsenal – use it to your advantage. Don’t let your website be held hostage by someone else – we can save you! From domain name rescue, domain registration, to quick page replacements, we make sure your website is a professional extension of your company and not a stitch in your side. Have a website emergency? let us know. Ongoing maintenance from Gridtronics gives your online presence monthly support, strategic planning and execution of updates directly to your website.We have three web maintenance packages, fitting your business’ specific needs. 2. Integration of content management system (CMS) so you can take control of your content. 3. Monthly retainer – there when you need us. Consider – amount of updates required, time available and overall computer knowledge. We work with you from the start to ensure the best solution is set in place before your site is launched, allowing you to take control from day one. 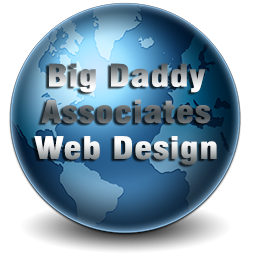 We are Tennessee based, professional, full service Internet Marketing Company that designs, develops and markets conversion driven websites that increase sales and enquiries.